Now, we know that you are aware of the vibrant yet diversified culture of a country called India and we have designed the tour package just for everybody who would love to know more. It includes some of the best places that have cultural vibrancy and represents the better part of Indian culture and heritage. And we assure you of becoming an enthusiast if you are just an amateur in the field. 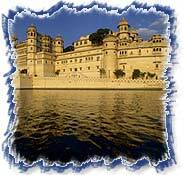 This predominantly north Indian tour package includes the attractive and colourful cultures of Maharashtra, Uttar Pradesh and Rajasthan, which are enough powerful to impress any from anywhere on earth. Arrive Mumbai. Transfer to hotel for overnight stay. Morning transfer to airport leave for Bhavnagar by flight. Transfer and check - in at the hotel. Afternoon - see Old Town bazaars in this important cotton export centre. Drive to Palitana (70 kms / 1 ½ Hrs) where over a period of 900 years, 863 Jain Temples have been constructed on five sacred hills - if you wish to climb to the top, later drive to Uthelia (150 kms/ 3 Hrs) and check into the hotel. At leisure to explore Uthelia an agricultural village noted for its traditional houses. Other places of Interest include nearby Lothal to see the major archaeological site dating to the Harappan era 2400-1500 BC Gandhi Ashram. Overnight in Hotel. Morning drive to Ahmedabad (80 kms/ 1/ ½ Hrs). Later visit the noted Calico Museum (Closed on Wednesdays and holidays). Afternoon visit Modhera and Patan. The Surya Temple at Modhera was built in 1026 and is dedicated to the Sun God. Patan is the old capital of Gujarat and home of the Famous Patola silk weaves and is also noted for the Rani Vav step well. Morning drive to Mount Abu 200 kms - 5 Hrs.Afternoon visit the Dilwara Temple. Leave by surface to Udaipur (185 kms/ 5 Hrs) enroute visiting the intricately carved Rankpur Jain Temples. Rest of the day free for leisure. Today drive to the holy city of Pushkar (295 kms / 6 hrs). On arrival check in at hotel. Later visit Pushkar Lake. After breakfast proceed for Jaipur 150 kms / 2 ½ hrs. On arrival check - in at hotel. 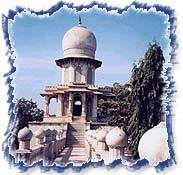 Afternoon sightseeing tour of the Pink City, includes the City Palace, Janter Mantar, Observatory and the Hawa Mahal. Morning excursion to Amber fort Enjoy an elephant ride on the ramparts the fort. Afternoon proceed to Agra En-route visit Fatehpur Sikri, a fascinating ghost town. On arrival in Agra check - in at the hotel. Morning city tour of Agra including magnificient Taj Mahal & Agra Fort. Later proceed to Delhi (203 kms / 4 hrs) via Sikandra. On arrival transfer to international airport for your flight to onward destination. Magnificient Taj Mahal, Agra Fort and Itmad-ud-Daula. (Hotel checkout 12:00 hrs).